It's easy to get lazy on weeknights, especially when the mere thought of cooking an entire meal is exhausting. That's where these five one-pan dinners come in. Just assemble all of the ingredients on a single baking sheet and pop it in the oven. Because a no fuss, no mess dinner is exactly what you need right now. 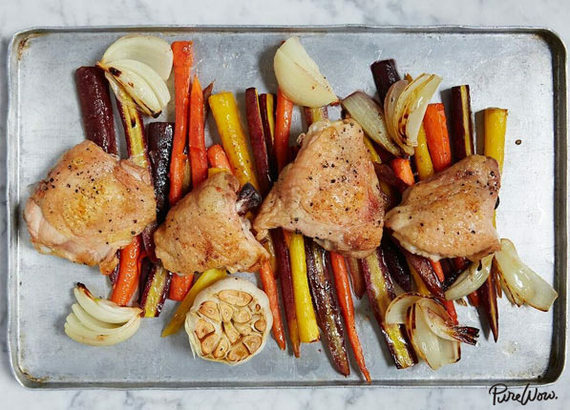 Chicken with Roasted Carrots. Get the recipe. 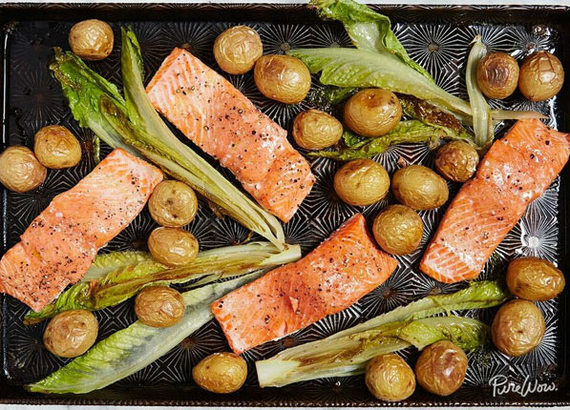 Salmon with Potatoes and Romaine. Get the recipe. 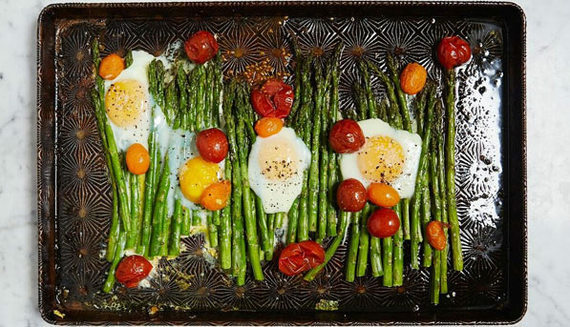 Eggs with Asparagus and Tomatoes. Get the recipe. 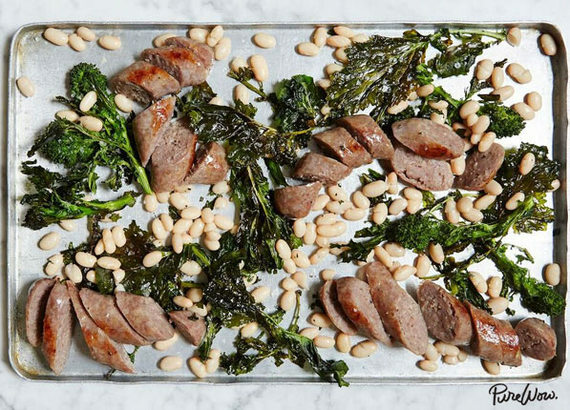 Sausage with Broccoli Rabe and White Beans. Get the recipe. 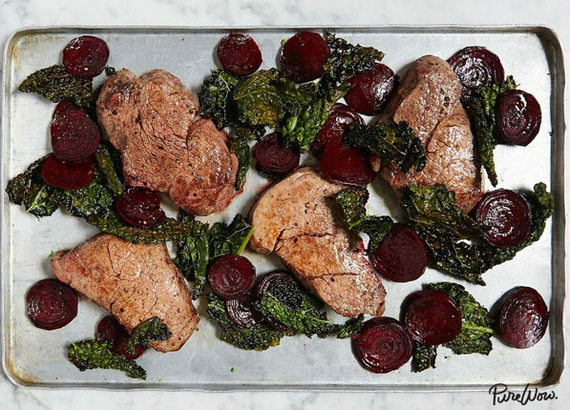 Steak with Beets and Crispy Kale. Get the recipe.